Its localisation full of charme has allways attracted and facinated man. 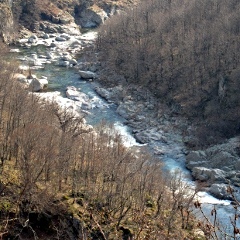 By stimulating their intellect and creativity, As often quoted in the past of Franc's history. 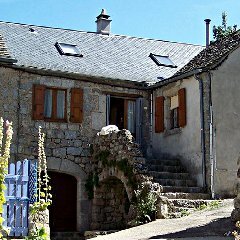 Close too us we can find evidence of intellectual works, novels, films, paintings, traditional architecture, which are connected to different sites of which we will give you a general overview below. 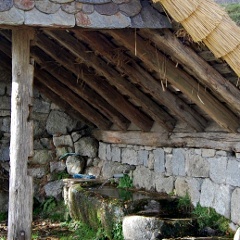 It's all a tradition that you will find reflected through the lives of the various associations. 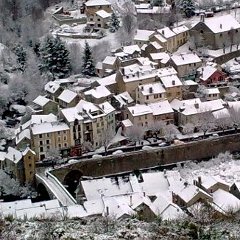 Today the village in winter hosts only 80 people but continues to spread beyond French borders. 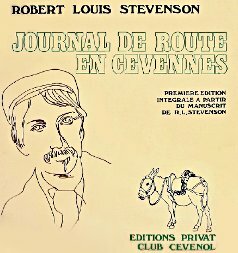 Robert Louis Stevenson, in 1878, fleeing an unhappy love affair decides to explore the Cevennes, where he pressed to find something to rejuvenate the Scottish open spaces that lies within him and eventually flourished through a series of novels. 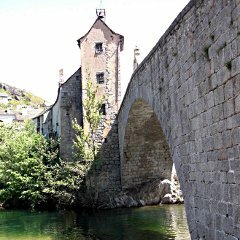 In his "Journal of road in the Cevennes", his arrival at Pont de Montvert is a thrilling moment in his quest, the discovery of a universe intense and more authentic. That he also found later in Oceania. 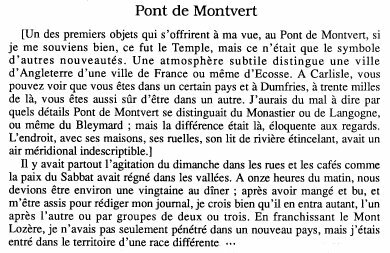 Jean Carrière, who won the Goncourt Prize for Literature, was a friend of Le Pont de Montvert, because this mountain village embodied for this Catholic with a big heart, an open mind and spirituality to the Cevennes. 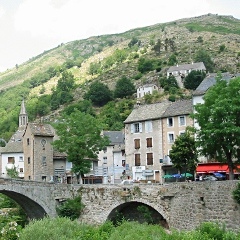 His novel Achigan takes place on the mountainside, in the hamlet of Finiels, near Le Pont de Montvert. 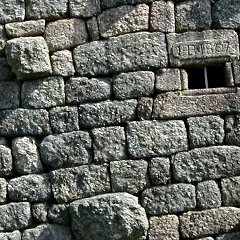 Through a fiction very close to reality, Jean Carrière wrote a satire as benevolent as caustic and brilliant of the little world of the Cevennes. 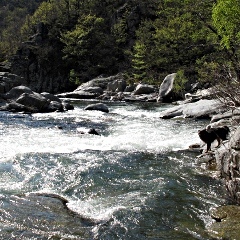 A book to read to breath the landscape.